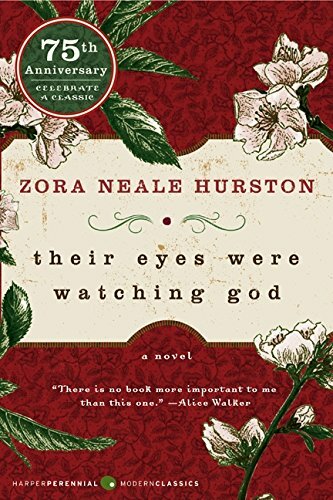 In my course of American classics, nothing has been less spurious and unplanned as Zora Neale Hurston's Their Eyes Were Watching God. The title gave me a gentle shiver then. It gives me shivers now. I was perplexed about the history and cultish resurgence of the book. It drew me into something mysterious and frankly never let go. Published in 1937, Their Eyes Were Watching God made a logical choice to follow 1936's Gone with the Wind. Both were written by females and the similarities to a large degree end then. A revered African-American work, Their Eyes Were Watching God was challenging, beautiful, and ultimately an unforgettable experience. There are a number of technical things I'd love to say about Their Eyes Were Watching God, but they all seem superficial to the content and poetry of Hurston's writing. Following the female protagonist Janie Crawford through the course of her life, the full spectrum of grabbing life by its reins contra men, expectations, and even spoiled love get addressed in unique ways. It is easy to reduce Janie Crawford's story is a "coming of age story;" but it is such in the most unexpected and (substantially) feminist way possible for the setting and time. Crawford's character arc in comparison to the Margrett Mitchell's Mrs. O'Hara is a literatry endeavor that I will have to put off for another time. 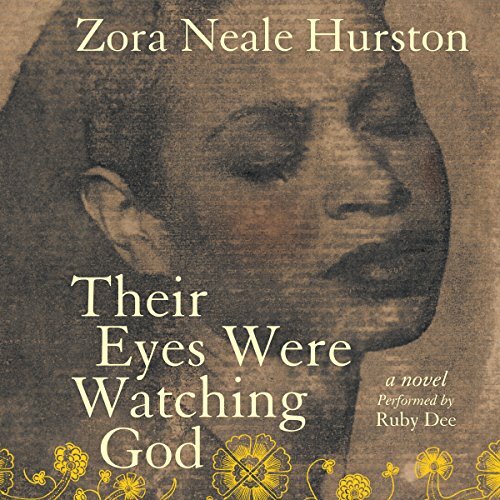 Recorded by Ruby Dee, Their Eyes Were Watching God is an experience and treat. Dee does justice to the male and female vocal ranges within the book. She also provides great depth to the diction and dialects of the material setting. Her vocal dramatization of Hurston's dialogue improves one of the few shortcomings of the original material. In conclusions, Their Eyes Were Watching God while not being the strongest literature I've consumed in this tour of American classics, is unquestionably one of the most enjoyable. Element's of Hurston's prose are nearly untouchable. Already a must read, the audio version from Dee is worth purchasing and appreciating. Avail yourself. "Janie’s first dream was dead, so she became a woman." Apr 6 Why Compare the BHI and the KKK?